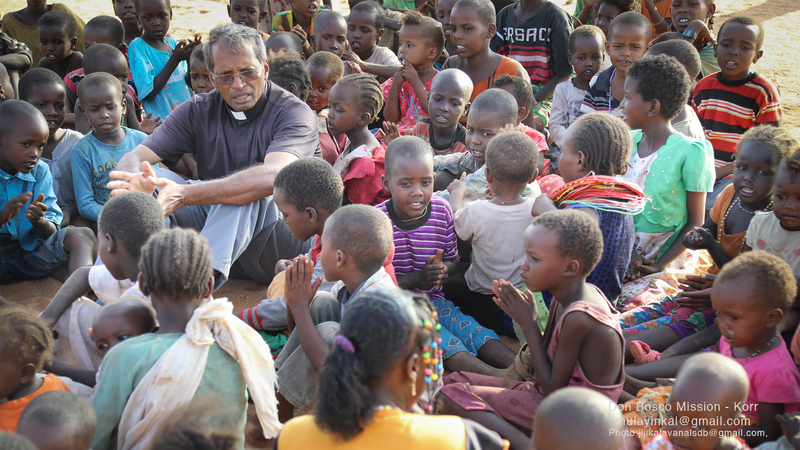 Salesian Missions, Don Bosco Mondo and other members of Don Bosco Network have launched an emergency fundraising effort to support missionaries assisting people affected by severe drought in Kenya. The government of Kenya has declared the country’s devastating drought a national disaster, with an estimated 2.7 million people in urgent need of food aid as a result of lack of rain and a worsening water shortage. Salesian missionaries with the Don Bosco Mission in Korr—located in the north central region of Kenya— have already begun providing food relief with the limited means available. Right now, missionaries are providing milk, maize flour, wheat flour, oil and salt, which must be brought in from the community of Isiolo more than 142 miles away from Korr. Salesian missionaries are also providing access to clean, safe water from boreholes that have been dug. With food and water supplies running out, Salesian missionaries must rely on donations and financial support to assist with this crisis. Father Luke Mulayinkal, who oversees the Salesian missionaries’ work at Korr, has reported that as the days go by and the heat intensifies, people are becoming sick and smaller animals have begun to die. The value of farm animals has dropped so much that selling them for money to buy food is no longer a viable option. The situation of the local people is becoming more and more critical. Fr. Mulayinkal has noted that other humanitarian organizations are reluctant to come into the country to provide aid because Kenya is considered to be a developing nation and it is therefore felt that the government has the resources to deal with the drought. As Fr. Mulayinkal notes, it is the poorest of people who are suffering the most. The Don Bosco Mission Korr in Kenya provides services to nomadic populations in the surrounding community and within Kakuma refugee camp. The camp was established in 1992 near the border with South Sudan as a place of refuge for unaccompanied minors fleeing civil war. Operated by UNHCR, with assistance from Salesian missionaries and several other humanitarian organizations, the camp offers refugees safety, security and life-saving services such as housing, healthcare, clean water and sanitation. Within the surrounding community of Korr, Salesian missionaries provide five outreach locations, a medical clinic, a nursery and primary school, boarding for boys and girls, a youth center and a Catholic parish. They continue to provide these services even as they are challenged by severe food and water insecurity brought on by the drought. Kenya’s longest watercourse, the 1,000-kilometre-long Tana River, provides the capital city of Nairobi with 80 percent of its drinking water and supplies the country with 60 percent of its electricity. Today the river is merely a fifth of what it was 50 years ago and it is being drained by population growth and the government’s ambitious development plans. The drought, particularly in Kenya’s Rift Valley, has continued to affect vegetation, agriculture production and even livestock. The situation began in 2014 and has worsened with time. Humanitarian organizations estimate that food insecurity has more than doubled—from 600,000 people from August 2015 to March 2016 to 1.3 million people from August 2016 to February 2017.